Digital agency, Dentsu Isobar part of global agency network Isobar has launched Quick Win for Analytics BtoB, a specialized service for the introduction, management, and use of Adobe Experience Cloud’s data management system Adobe Analytics in a BtoB scale. 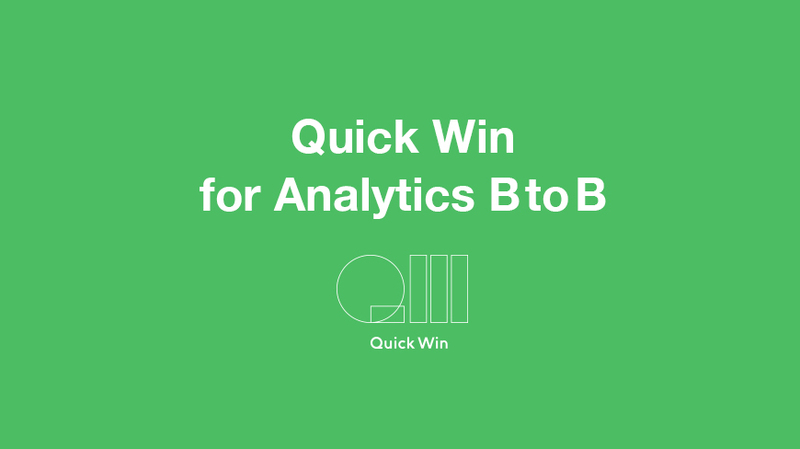 This is a new addition specialized for BtoB websites to Dentsu Isobar’s already existing Quick Win for Analytics service as a web activity analytics service for BtoC websites, with the objective of understanding the actions of users from a business perspective. This service interprets viewing special content, reading pages, clicking links, and other such actions as steps toward understanding the service or grasping how a product is selected, acquiring this data and scoring user actions at each step to enable designs that are optimized for the users’ level of interest and comprehension. Before introducing a full-scale marketing automation tool, this service uses currently available data online to support the verification and formation of scenarios for a more effective digital marketing automation to get ahead of the competition. Our service offering delivers strategy planning, technical support, installation and operation of digital platforms. This enables us to provide the highest quality combining the use of digital with our teams’ vast expertise across our extensive agency network that supports businesses and brands in their digital transformation journey.